Home > We’re crazy about Ketubot! Here at Smashing The Glass, we’re totally, insanely, ridiculously crazy about Ketubot! 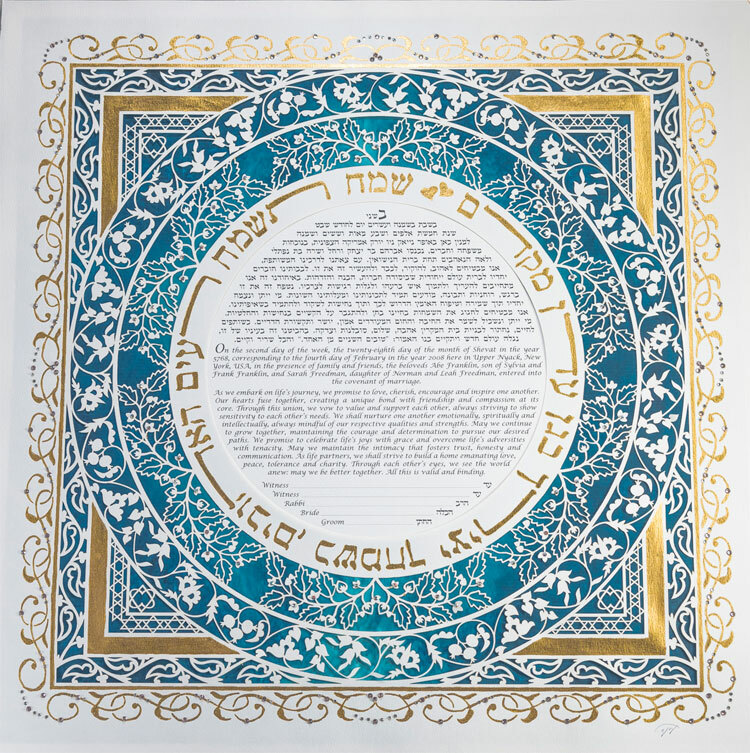 Funnily though, when I got married to Mr STG, I didn’t actually realise there were so many amazingly talented Ketubah artists out there. When our Rabbi asked us if we wanted him to source us a standard Ketubah we just said ‘yes of course’ and didn’t think much of it. It was only after I started Smashing The Glass that I realised there were SO many beautiful Ketubot available to couples and they literally come in a design that will suit EVERYONE. From luxe, to paper cut, to art deco, to traditional – there really is something for every taste. 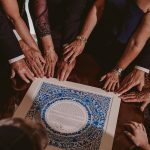 What’s also super amazing is that the Ketubah text can be customised for every wedding whether you’re having an orthodox, reform, inter-faith or LGBTQ. 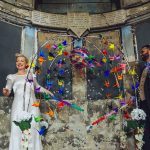 We are so thrilled (and lucky) to have some amazingly talented Ketubah designers featured on Smashing The Glass over the years, so we have pulled together some of our favourite designs currently available. Let us know which is your favourite in the comments below and of course happy pinning! 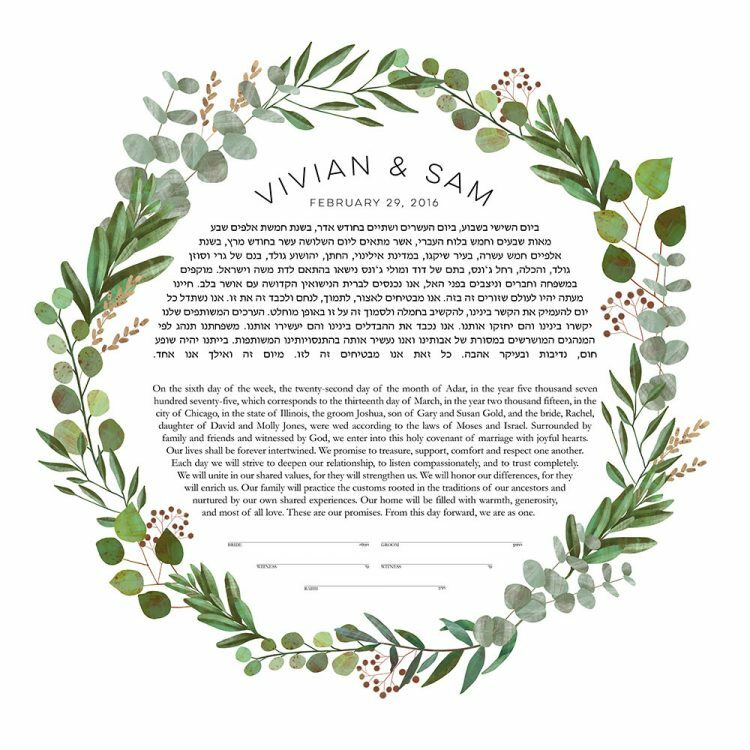 The Good Earth Circle Botanical Ketubah features a verdant burst of botanical illustrations and celebrates the joyful bounty of summer. Drenched in vibrant greens, this design is both fresh and contemporary as well as timeless. 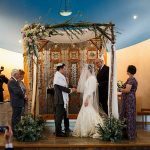 What better way to begin your marriage than with a ketubah that evokes possibility, abundance and new life. 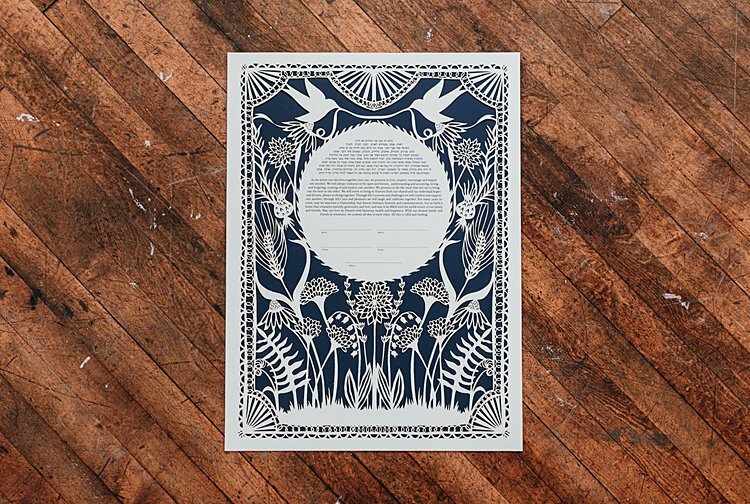 The Good Earth Circle Botanical Ketubah is part of a series of ketubot featuring festive botanical illustrations by super talented Ink with Intent. We love that Once Upon a Paper offer original commission Ketubot. 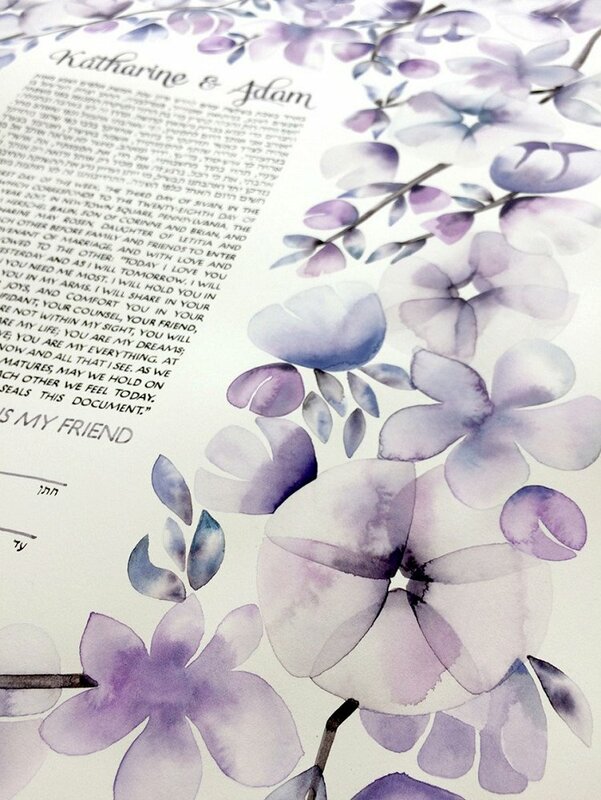 They can create a beautiful Ketubah of your dreams in water colour or even their paper cut or wood cut layers. 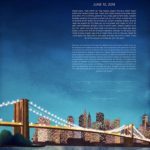 With lots of different options you can work closely with them to create the Ketubah of your dreams! 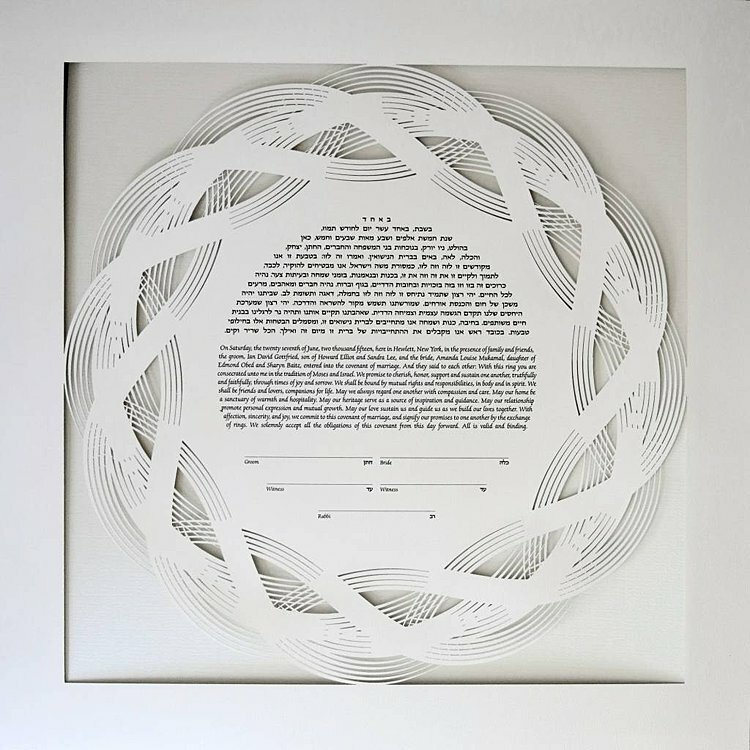 Strikingly modern and exquisitely delicate, this papercut ketubah suggests an infinity of possibilities. Fresh, minimal, and beautifully contemporary, this design showcases your wedding-day promises to stunning visual effect. We are so in love with all Ketubot by Ruth Mergi. 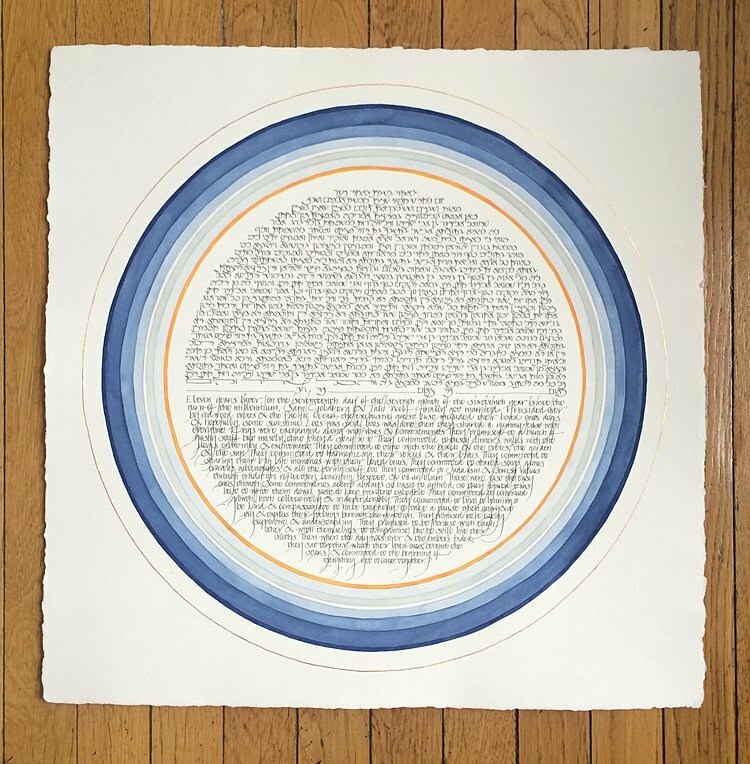 Celestial Rings is a custom ketubah by the artist, Stephanie Caplan. It is based on one of Stephanie’s favourite paintings, a medieval sienese work depicting the universe as concentric circles. 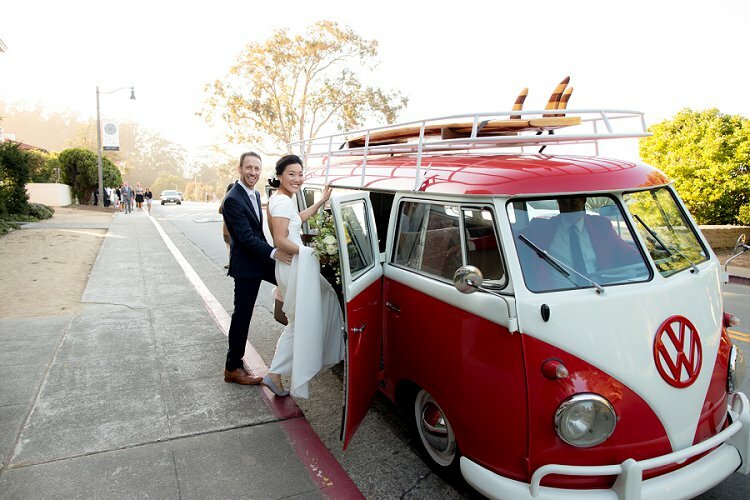 The couple adapted it to include the orange that represents the poppies of California. Written in watercolour and painted with watercolours, with 24kt. 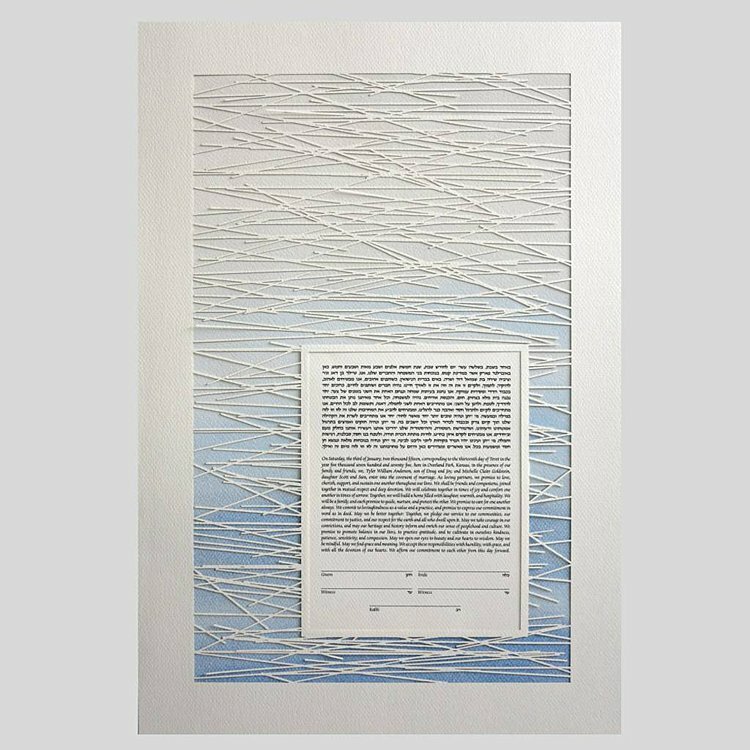 gold leaf accents, on handmade watercolour paper, this a truly beautiful Ketubah by amazingly talented Stephanie at The Ketubah – we love how she brings modern aesthetic to her Ketubah designs. It is available for purchase as a limited edition laser cut with the background colour of your choice.